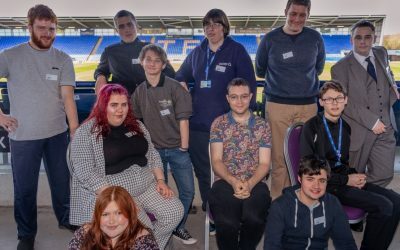 Adam started his Supported Internship at Shrewsbury College in September 2018 where he began his placement is at the Range, Shrewsbury. Adam started working in the warehouse department of the store, where he was involved in boxing, stacking and pallet distribution and quickly gained an understanding of the procedures involved in this department. 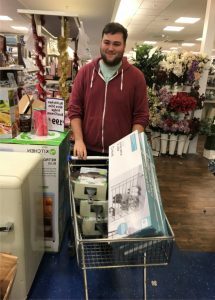 Adam has recently moved into the main store where he has quickly established an understanding of the work required in the busy home ware department. Adam is responsible for unpacking the boxes of stock as they arrive into his department, before sorting them into cages to be picked up and put onto the shelves before being sold. Adam is building a wide product knowledge which is helping to improve his confidence when customers approach him for advice and guidance. He is feeling more confident with every week he works with the team at the Range.